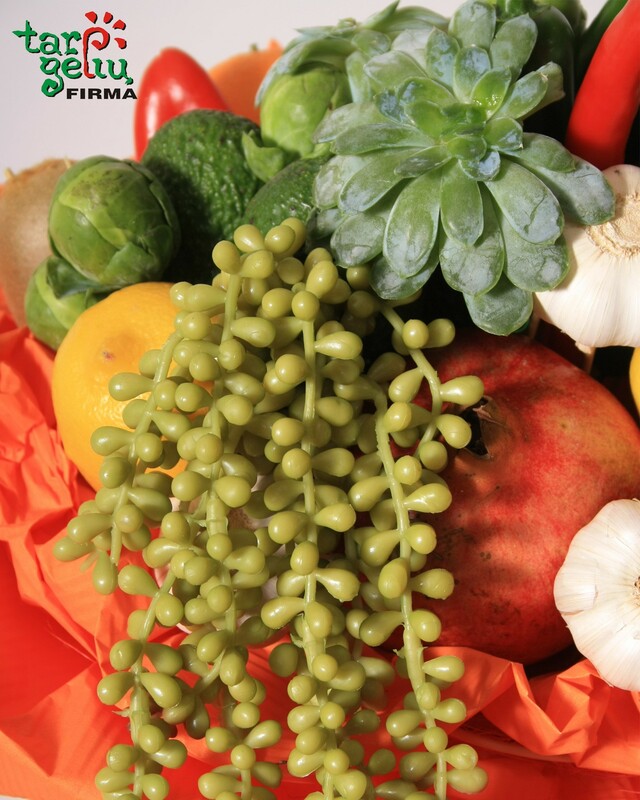 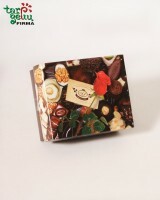 Vegetables, fruits, greenery, decorative elements. 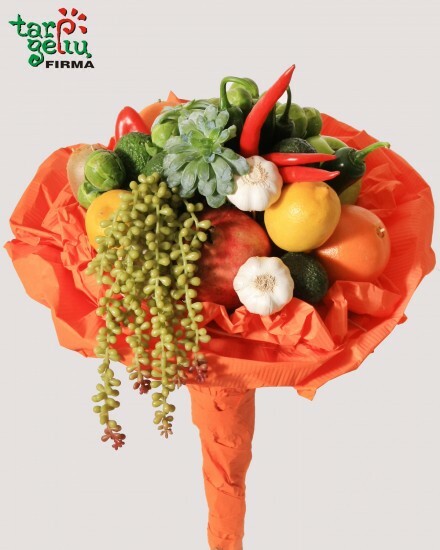 Bouquets might be slightly different than represented in the picture. 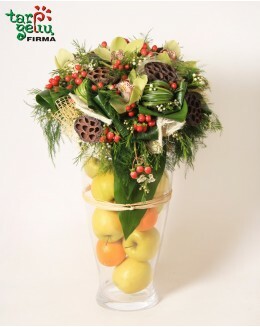 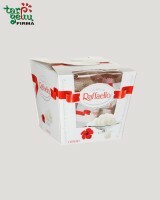 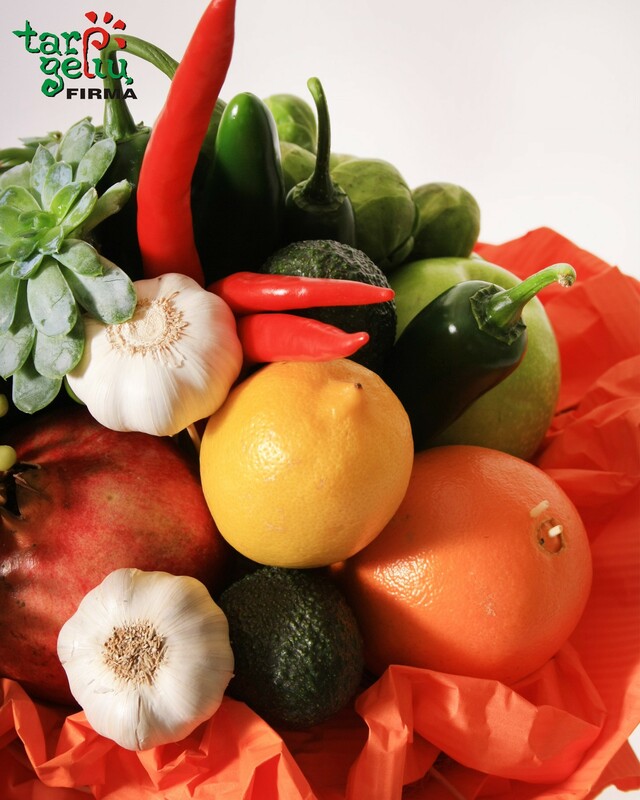 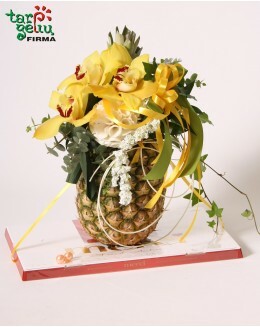 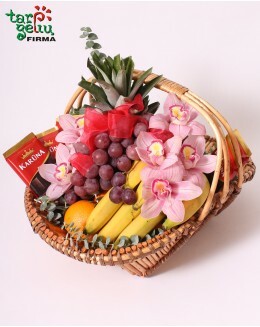 Bouquet of vegetables and fruits.